Oakcrest School Inspired by the teachings of the Catholic Church and the spirituality of Opus Dei. 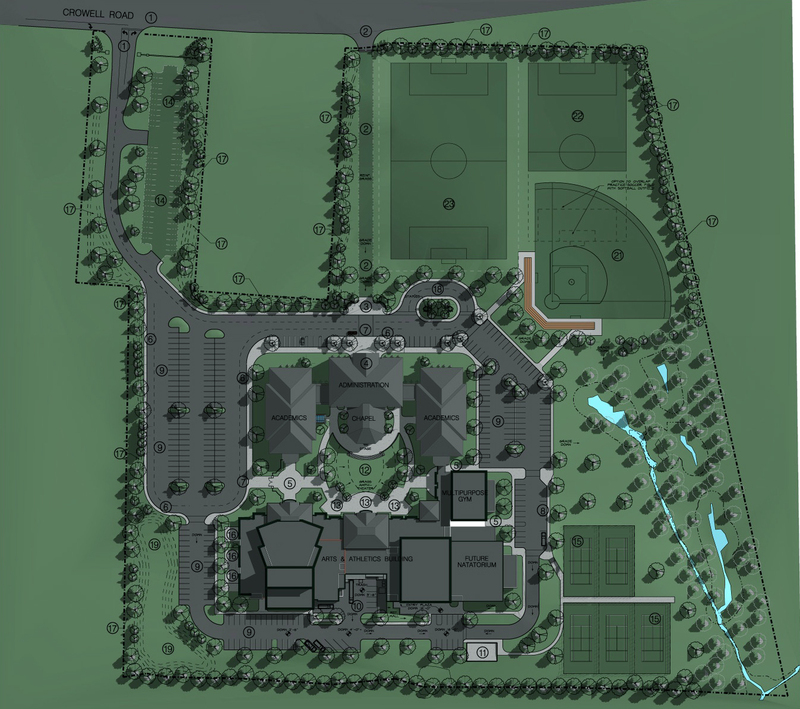 SEM Architects worked as the Criteria/Design Architect for a 135,000 sf Comprehensive Master Plan, Floor Plans, and Zoning approvals for relocating Oakcrest School to a 23-acre site in Vienna, Virginia. 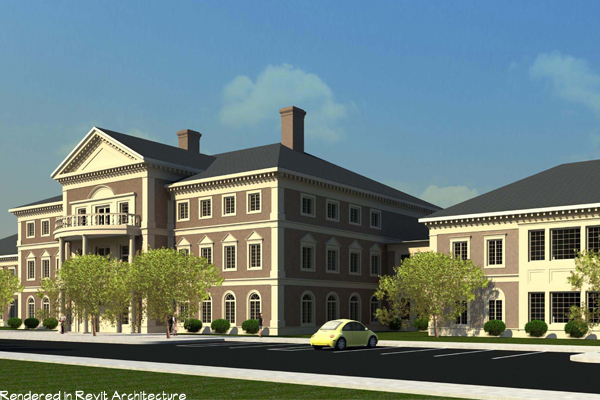 When fully realized, the site will accommodate approximately 450 Lower School and Upper School students, and features a Chapel in the heart of the courtyard. SEM also developed plans for future Auditorium and Arts facilities that will feature a full fly-space performance hall. Athletic facilities designed include a competition gym seating 1,200, a multipurpose practice gym, and a future natatorium. as well as full outdoor sports areas. Additional wetlands are being preserved on the site for environmental studies areas. The overall Master Plan was faithful to the region’s Georgian architectural heritage.